You work hard 80 hours a week. You go home tired. You get a fancy paycheck, sure. But you’re not that happy. Why can’t you spend your time and earn money and love your job at the same time? Honestly, the answer is not definite for everyone. This guy Matt does all that and more. So why can’t you? If you have been feeling all these, then we are the same. And that’s when Gamintraveler was born. A dream to mix passion and income together. Thus the journey to a high-traffic blog. Today, I’m sharing the journey to you. It’s been a a few weeks since the start of Gamin Traveler. You reading, and spending time, digesting all these guides are a very important part of growing this community — letting us know YOU need these guides. Today, we share to you our first HONEST REPORT. The Honest Report is a monthly report for you to know everything that has been happening at the background of Gamin Traveler – the work we put into creating the travel guides, the time, the money spent, and the money coming in. This is a way for us to stay true to you, be transparent, and for you to know that there are real humans behind Gamin Traveler. We want to make sure this site continues to grow as a resource for you to continue the lifestyle of your dreams. We will create a blog centered in raw-ness and transparency. If you already love and find the content valuable, you will get a peak at how we do things behind the scenes. And if you are interested to find out how exactly do we do things, we will gladly share them all to you. We launched Gamin Traveler last Nov 11, and today we’ll show to you what happened for the past month, working on the blog. If you are a traveler now, or an aspiring traveler and you are looking into starting a blog and earning while traveling, we want to show you our journey so you can get a close insight and follow the same steps. Here’s to us, dear traveler. a. 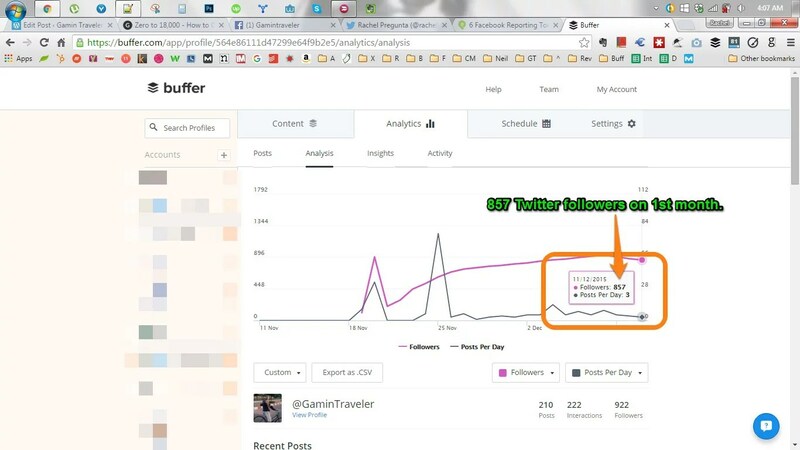 For the Blog Stories – Gamin Traveler is created to be a travel resource for cheap travels. It’s not about giving you the deals of the day, and who’s flight company is giving promos, though. We are all about the nitty-gritty of the cheap travel – the psychology of why you will choose to travel cheap and solo, what happens in cheap solo travels, and how you can work with budgets even as low as $10/day (without having to starve yourself). We understand that you want to TRAVEL NOW and that you have to budget your money. You love the fun and the new experience and you can’t spend all your time waiting for deals or saving your salary for years. We want you to finish reading a post and to feel empowered to plan a trip or try a technique like “hitchhiking“, or “sleeping for free everywhere“. b. For Marketing – Ultimately, we want to work on the site FULL TIME, and for the blog to fund itself, and all the future travels. We know that an investment like this will take a lot of time (months, years. whew!) We are prepared to take that investment. Rachel, my blog partner, works on the tech side of things: designing and optimizing the site and working on strategies. I work on creating the posts and reaching out to other travelers and bloggers. Our top goal for now is to increase site visitors and email sign-ups. This is why we spend hours on end creating great content that you need to inspire you to begin your travel journey. We write very detailed blog posts. We create 3000-word posts for the big travel guides that we write. All actionable, making sure you can plan some techniques when you read the guides. We also started interviewing travelers around the world who have taken steps into starting their travel journeys. Some have been on the road for years. We’d like to learn from them and share their stories in the blog, too. Before launching the blog, we made sure that tools were already in place. We spent a lot of time researching the tools that will work best with our strengths and our budget. We want the BEST VALUE for our money invested on the blog. If you are looking into researching for the top tools, save yourself time and read on. We did the research for you. Now, we need to tell you that there are so many tools out there set out to help you if you want to work on getting high traffic and earn money from your blog. For now, our choice is to start very lean. We are a team of two and we do all the work together. Time is very valuable. Rachel has her own online client work which takes up a lot of her time and energy, and the schedule is impletemented (by me. ha!) to make sure she has the freedom to work on her projects and still have time for the blog. 2. We brainstorm A LOT. Not too difficult since we are together, and luckily, the brainstorming makes us happy (about 80% of the time). 3. We spend ample time for research. We read and study a lot. That is actually an understatement. 4. We write a lot. Then we guest post. We comment. We post on social. And we connect and reach out to other travelers who are also working on the same things like us. Nothing beats a community of people who have the same goals helping each other. We are a very small team, and we try not to spend on anything that is “fancy” for now. We choose the road of “content”. We build the site by providing immense value to the readers. We do spend money on some tools that are necessary (hosting, premium theme, some plugin licenses, marketing tools and lessons), but again, we try to keep it really lean. All the traffic that we got for the last month were all organic. For the launch of Gamin Traveler, we spent at least 70 hours just working on the site design and the ebook that we created for free, Travel Without Money. That’s not counting all the time we spent sending messages to people and on social about what we were doing. On average, we spend at least 60 -70 hours weekly for the blog. I spend more time on blog work. We are definitely looking at focusing our efforts on that work that will build the blog better and delay some activities that are not of top importance for now. As a “home” for all the travel guides and stories we write, we chose WordPress for our writing platform. WordPress is powerful and flexible, nothing too complicated for the non-developer to not understand, and make an excuse not to start a blog. Wordpress is definitely scalable plus it works with a lot of plugins which can make life so much easier when you start adding different functionalities to your site. If you know how to touch code, good for you. If you’d rather focus on content and the social side of the blog like us, and don’t want to hire a full developer when you are just starting, choose WordPress. For hosting, we are using Siteground. We have plenty of good things to tell you about them, but before that, let’s go over simple “definition of terms”. WordPress is a content platform (cms). It’s a free way to manage all your posts, comments, files and more. Basically, an organizer of your content and how you can publish them online. Siteground is a hosting platform. It’s your blog’s space in the whole internet world. You need to make sure that you have a strong host that can hold the traffic coming to your site, plus all the functionalities of your site. The best thing we love about our host, Siteground, is their outstanding customer support. From migrating Gamin Traveler from free WordPress to the now hosted blog, to tech issues that we are having (or God forbid, all problems we encounter when we touch code and something breaks on the site), they have been there. 24/7 support, accessible everytime via chat. We truly feel like having a tech team on our back, supporting us when we have problems. Already have a “name” in mind but not ready to start a blog yet? Check Namecheap and buy that domain name immediately. It’s the cheapest yet very secure way to make sure you get the website names you want reserved for you. For design, if you can invest on a premium theme, we suggest you do it. Premium themes will secure you that your theme has full support and will be updated regularly to follow all site and security updates that will be necessary to maintain your site’s health. For us, the best choice is the Genesis Themes by Studiopress. Very light WordPress framework with an amazing community of support and security updates. and a set of WordPress plugins to help us design, protect, and optimize the site. For us, one of the main challenge is time. No, we are not saying we don’t have time to build this blog. For things that you want to do, you have to MAKE THE TIME. I cannot say it in a better way. I believe this, not only about blogging, but also about travel. You have to take the leap and have faith on yourself. You have to take the leap and have faith on yourself. Rachel and I are very different when it comes to work ethic and envisioning the future of the blog. We are lucky enough to meet at a level where we are able to produce results that we want. I would say that Rachel is the visionary and the big idea person, while I am the realistic guy, keeping things grounded and in order. There was one point we almost stopped working on the blog. It was hard. Mostly because of time constraints. And also it’s the first time that we have been working closely on something that really takes a lot of effort, so our work personalities are really tested. But we made the commitment to get past all the challenges and continue, see where we can really take it. We will not slack, but make sure we are loving every minute of it. The fun part! Here are our traffic numbers from Nov 11 – Dec 11, 2015. You can see here that the Gamin Traveler blog got 18,372 views for the month from 10,825 unique viewers. The blog was written in English and Spanish in the beginning. This is why we got a lot of Spanish readers. For now, we made the decision to write only in English. Our time is very limited so we have to make some choices. If you are missing the Spanish guides, please send us an email. The more emails we get about it, the more we can consider writing in Spanish again. Email subscribers is a very important growth that we will be working on a lot. We are so thankful for readers who allow us send messages to their “personal” space online (email). We value that, and consider it a sign of loyalty. 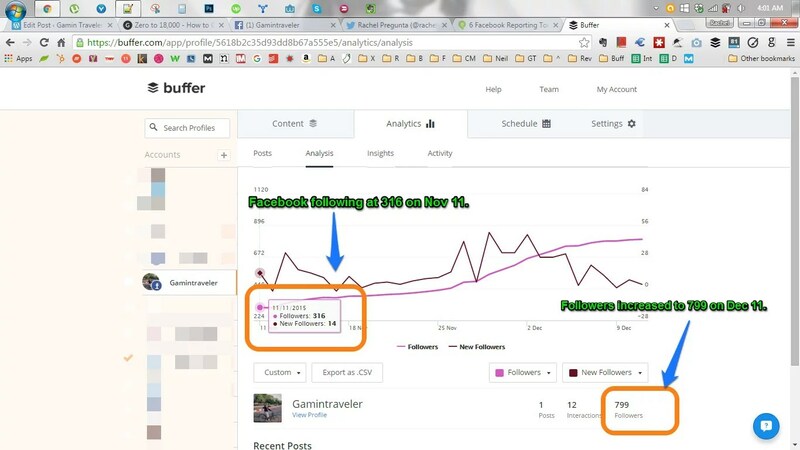 Facebook followers grew by 250% on the first month of the blog. This is the first month Twitter was used for the blog. Social media is the biggest driver of traffic to the site for the 1st month. We are going to continue with social media sharing for the blog posts, however we will be looking at newer channels/strategies for the next coming months to increase more traffic. We did not really push for any income generating techniques this month just yet, although we earned some money from the blog for the first month. Talk about earning money passively! a. Be better than last month. That means higher email subscribers, higher blog views, and better email conversions. We are a little nervous that Nov has been an amazing month that December stats might not be able to beat it. But we won’t give up. It’s still very fun, really. The blog is like our playground. We have so much to learn, so much to give so we are definitely excited to post next month’s update! Are you ready to take the leap to what will make you happy? Make sure you read our Honest Report about Blogging in 2017. We hope you liked this post! Share it to your friends and let them know you believe in them following their dreams. Remember: Make time and no excuses. Til the next Honest Report! You are really working hard on it guys! Congrats to the Ruben & Rachel GaminTraveler team! See you around the globe parceros! Thanks Brennen! I hope it’s useful for everybody! 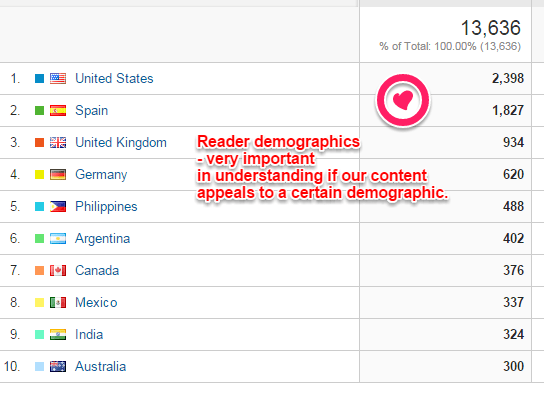 Thank you for liking my blog post.It led me to your blog which is very interesting. Thanks Sheela! I hope you enjoy the stories and encouraging to travel! Thanks for sharing this. It’s very interesting to read the behind the scenes info, especially the stats information. Thanks 🙂 Are you writing a blog? Very cool insight into how you are building your brand. At CascadianAbroad.com, we’re still focused on documenting our experiences. I can’t bring myself to write the SEO-friendly buzzfeed articles, so we’re happy catering to the handful of folks who are into what we are doing! Hey guys, I am loving your blog! SEO can be quite some work, true. But oh well. 🙂 Looks like you really been enjoying Japan! Thanks for saying so! We’ve really tried to make the most of our time in Japan and around Asia. Great report. A genuine, no BS post. You can spend hours, days etc on a website and it looks like nothing, but its some amount of effort. It can be very time consuming before you have even written a post! Only done one post myself, the content management is a tough one, would like to hear more on that in your next update. Thanks for your follow, which led me to your fantastic article. Think I’ll be digesting that for a few days! Food for thought! 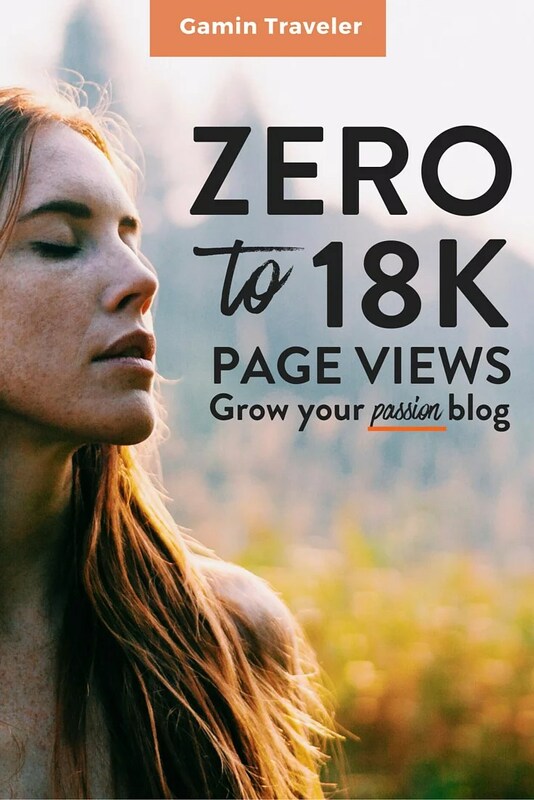 A great explanation of the engine of your blog, I am sure you will continue to be successful. It is a great resource. Congrats on setting up this site and detailing all the hard work involved. This is a good site and I hope you continue to have success. Also, thanks for visiting my blog and the likes. 1. Very useful & helpful knowledge of how to build a decent blog. As a low-tech reader, Honest Report provides me the basic knowledge of How Things Work & how the Big Pictures in maintaining decent blog while on the long run monetize it optimally. This is new for me, I learn from several sources, and I really enjoy learning from your source. Your overall blog, for me — I dont learn a lot after I have kids & being stay at home mom — I use your blog as main continuing kearning to activate my brain & nurture my mind. 3. But I rather confuse with so many interesting offers to “Join the VIP insider list” & which I already register for “Step-by-Step”, are they the same content or different ones? Thank you & all the very best for Gamin Traveler. Thanks Idle, I´m glad that you liked it! Gamin means vagabond or something like that.